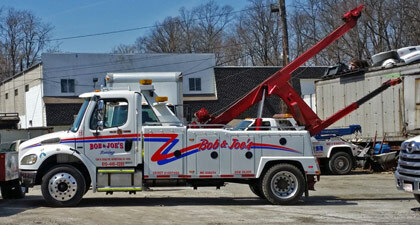 Bob and Joe’s offers distance towing and vehicle transportation throughout the mid-Atlantic region. 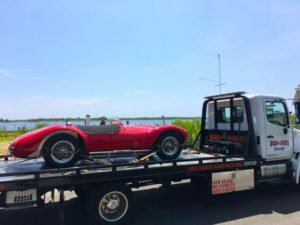 Based in Havertown, PA we can tow your car you can just about anywhere on the East coast. With excellent rates and friendly service we are your best choice for distance towing. If you are visiting Philadelphia or the surrounding area and breakdown or have an accident we can help. Instead of waiting for your car to be fixed we can tow your vehicle home, wherever that maybe. Get your car back to your local repair shop or anywhere you need it to be with our long distance towing service. With a large tow fleet we have the right piece of equipment to move your car long distance and without any damage. Bob and Joe’s has been in the business since 1964. We have the experience to transport everything from custom and exotic cars to motorcycles and get them there in perfect condition.